I think it’s safe to say that I love ponchos. They are just so cozy and awesome and perfect for winter. 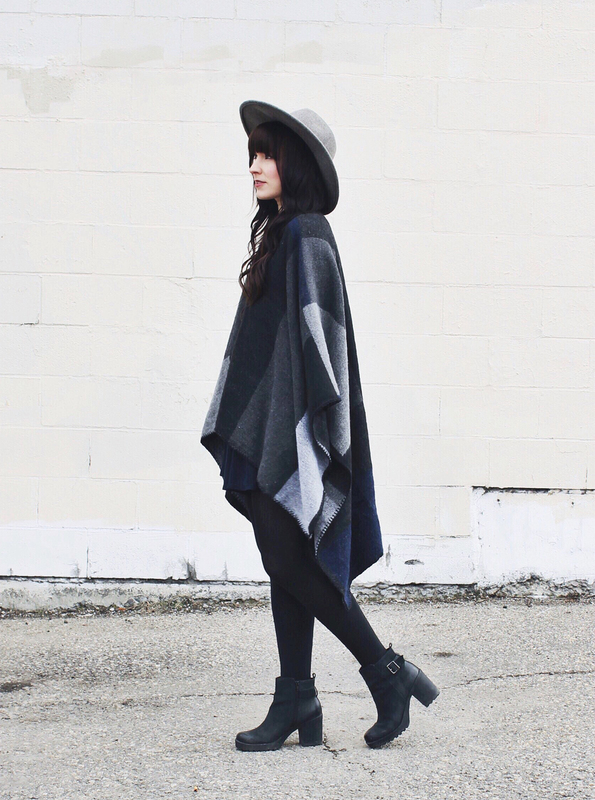 This grey and blue poncho is an awesome addition to my collection. 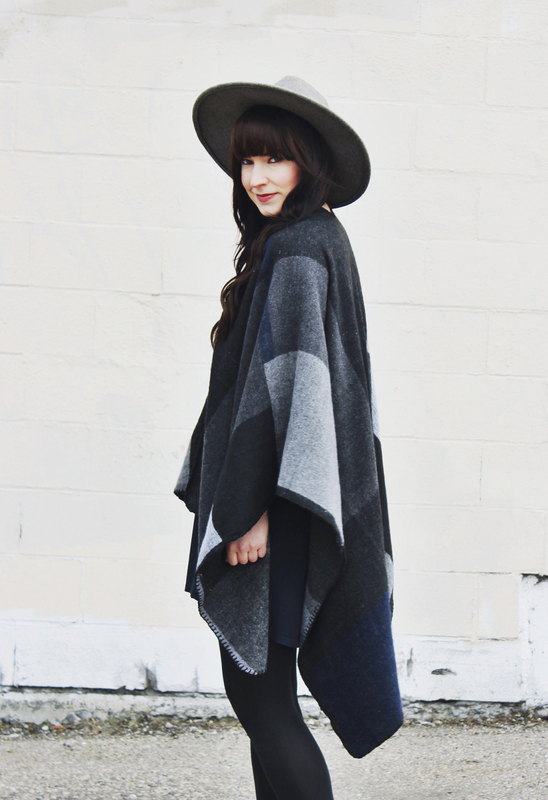 Because this outfit is pretty dark, I wanted to wear jewelry that would really stand out. 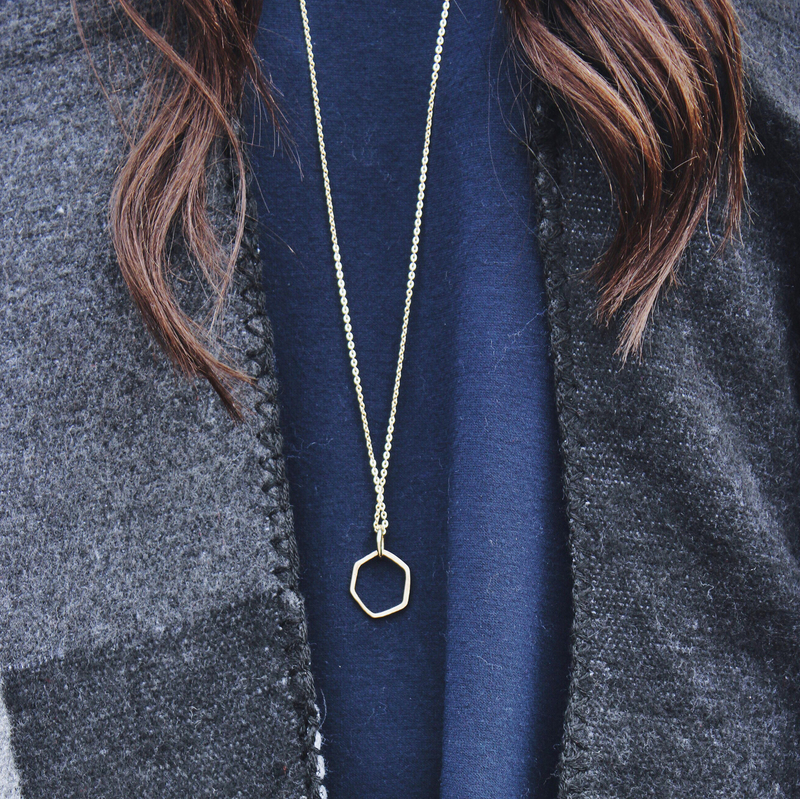 This hexagonal necklace from Tribes Society makes the perfect addition to this outfit! Great outfit! 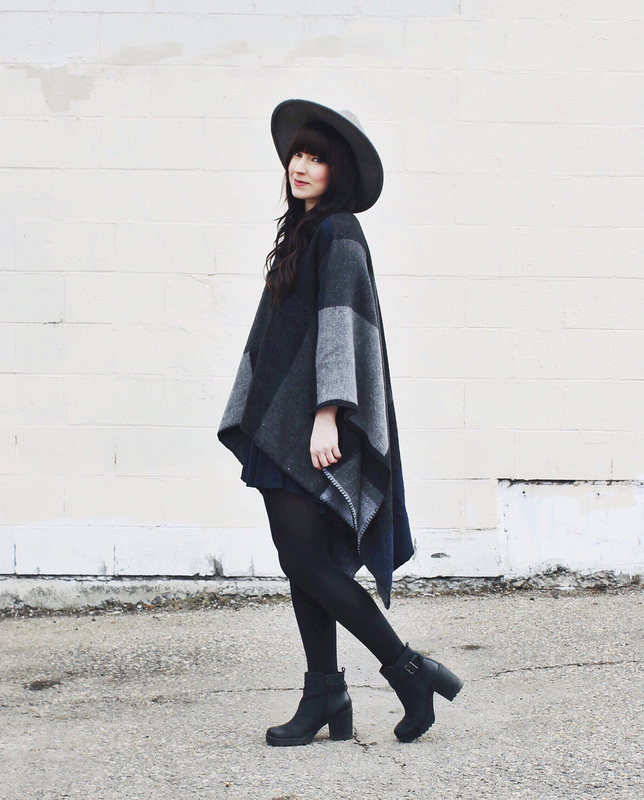 🙂 I love the poncho, hat, and boots! Awe thank you. I’m glad you like it! My awesome Boyfriend takes my photos. Thank you, I think he does a great job too! This is the most amazing outfit I have ever seen, ever. 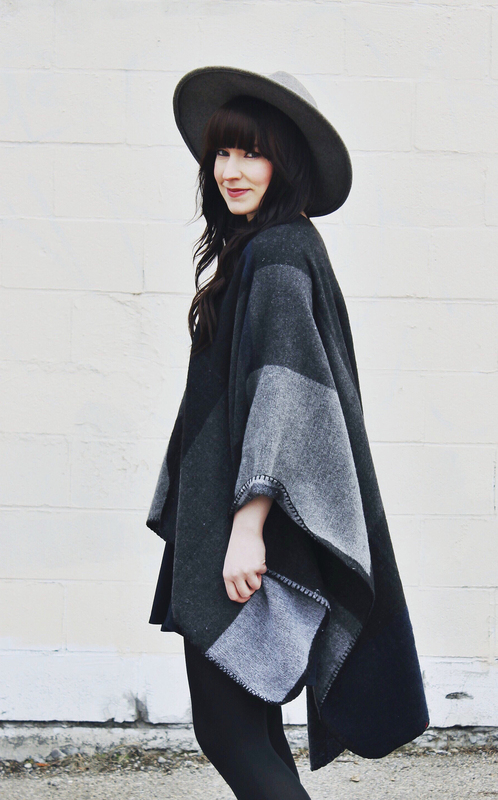 I’m literally going to run out and buy a poncho today and recreate this. Hearts in mah eyes!! 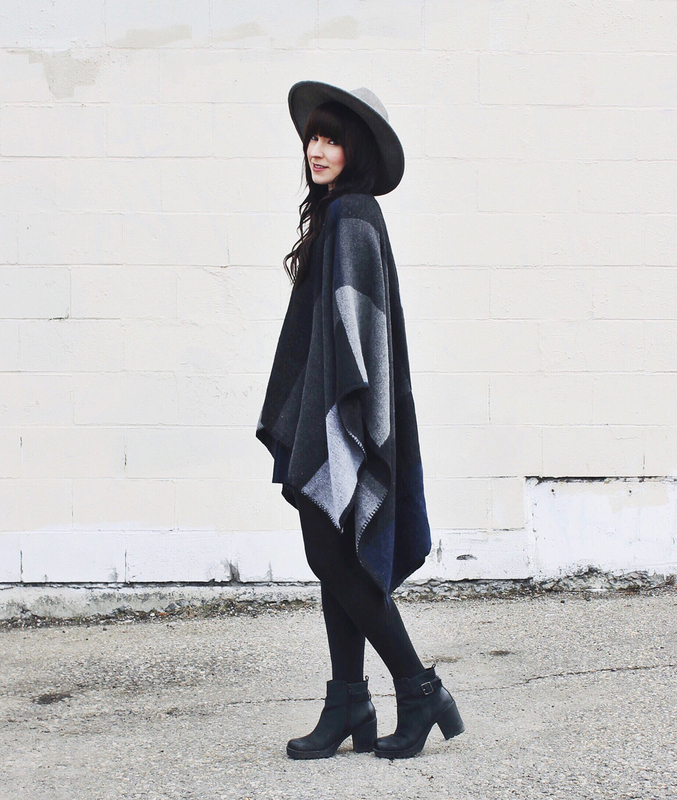 That poncho looks amazing on you! I’m always afraid of wearing them because I think they look overwhelming on me, but I love how you kept this outfit nice and simple. That necklace adds such a nice touch. awe thanks so much ! Beautiful, I’m really loving the dark hues in this outfit. 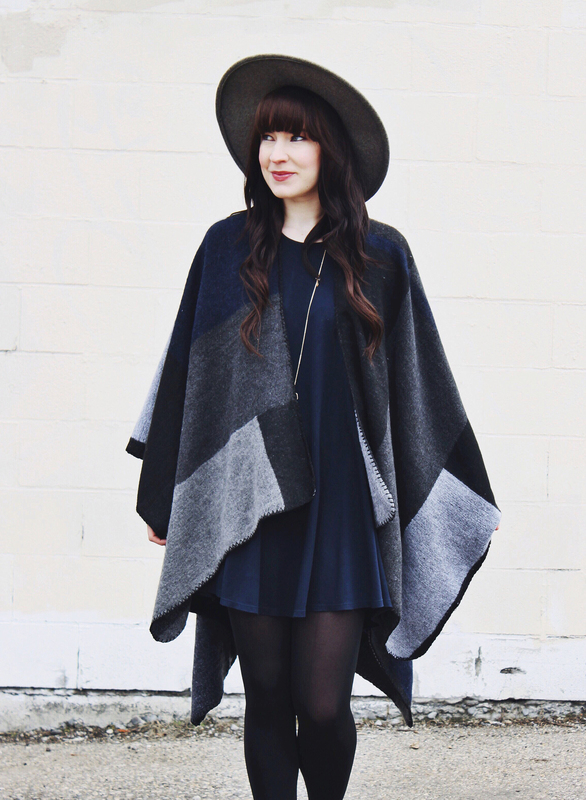 Such a beautiful cape, so chic!